The last thing I would expect to see on a vitrified saucer is a gold rim as I imagine that dishwashers would soon remove the gilding! 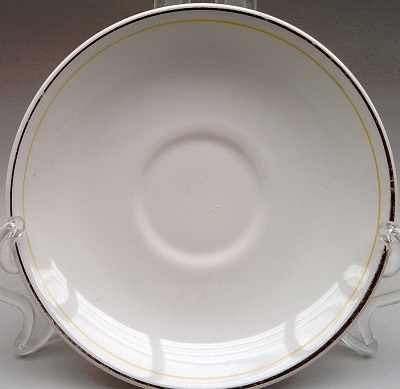 I have a side plate with an orange line, which it appears I haven't posted so will check it out for signs of any gold. Found a photo of the side plate and there isn't any gold. 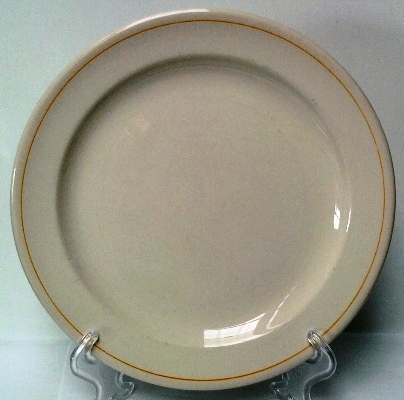 It is a rim shaped plate with 1 orange line and it is vitrified.